LDM Researchers: The people who make it happen. It takes a lot of experienced, professional researchers to maintain a near-perfect database of half a million attorneys and firms, 2,500 courts, 6,000 judges and their clerks, over 5,000 agencies, and more. 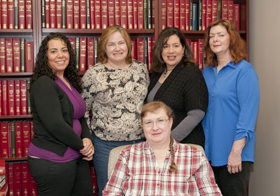 The average researcher on our New Jersey-based team has been with us for 17 years and has a college degree. Experience is the key to our success. Our team covering courts and agencies. 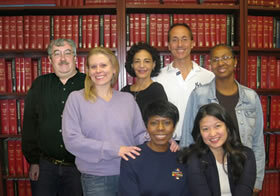 Our team covering attorneys and firms.